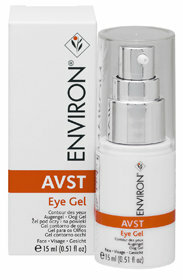 Environ®'s AVST 3 contains moderately high levels of vitamins A and C. AVST 3 is enriched with a peptide, Palmitoyl Pentapeptide-4 (Matrixyl®). Only use AVST 3 once skin has acclimated to AVST 2. Helps to improve the look of fine lines, uneven skin tone and the appearance of sun damage.